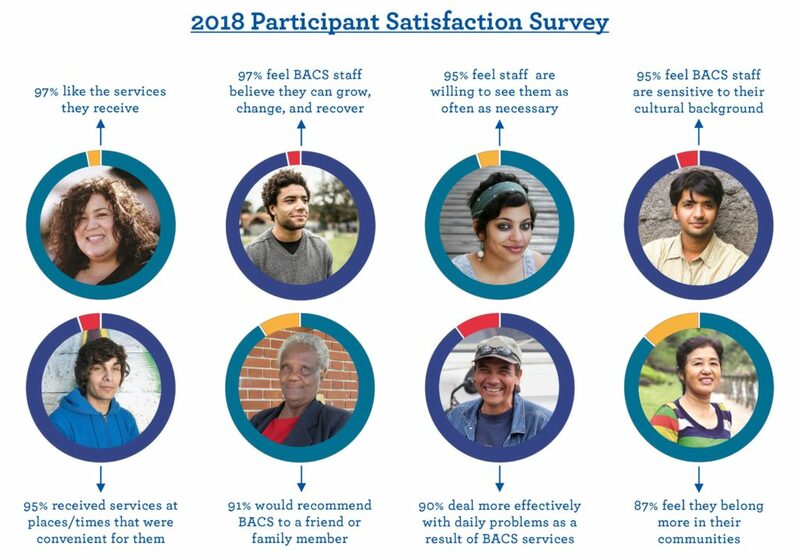 Each year, BACS conducts a survey of our many participants across our housing programs, behavioral health services, and community programs – and this year, our results were better than ever! This is part of BACS’ Continuous Quality Improvement process, so we can consistently tweak and improve our programs to best serve the community, Many thanks to the staff and participants who made this possible. 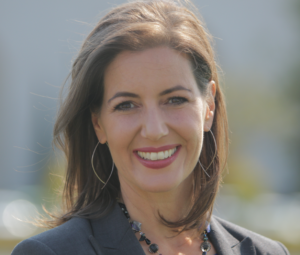 BACS would like to extend our gratitude to Oakland Mayor Libby Schaaf, who has been an important partner. Mayor Schaaf not only donated Warriors Suite tickets for BACS to auction, benefiting our housing programs, but also visited a BACS housing program to help a participant celebrate 30 days of sobriety! If you want to end homelessness in Oakland, you can help! If you have a room to rent, email us at RoomsInOakland@bayareacs.org. Or, you can donate to help a community member get back on their feet. BACS is excited to celebrate our 65th anniversary as a local non-profit! 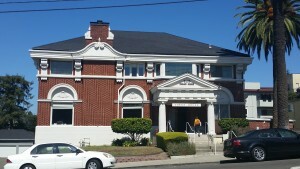 BACS started in 1953 in Oakland, serving a few hundred people per year. Today, BACS serves more than 7,500 people each year, has services in Alameda County, Contra Costa County, and Solano County, and has helped more than 100,000 people in the last 65 years. This would not be possible without the dedicated, passionate, diverse staff who work every day to make a difference in our community. In recognition of their commitment and their successes, and to celebrate 65 years of doing ‘whatever it takes’, BACS is raising pay for our staff ‘on the streets’ to the top of any non-profit in the Bay Area, making a monumental and unprecedented investment in our direct care staff. This will have a long term effect on the outcomes of our programs by reducing turnover and investing in the economic development of our communities. This February, BACS is celebrating program anniversaries for four of our community programs! 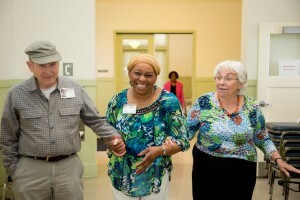 Woodroe Place opened in 1996, and provides short-term residential services for individuals in active psychiatric distress, in a welcoming and open environment. BACS also celebrates two of our re-entry programs: FREE opened in Alameda County in 2016, and FIRST opened in Solano County in 2016. 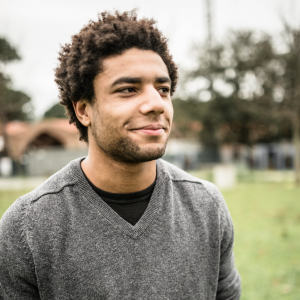 These two programs provide care coordination for people living with severe mental health issues who are re-entering the community from jail/prison. 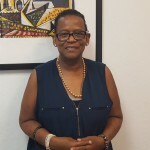 Finally, BACS is celebrating our SAGE program, which opened in 2016 and provides coordination services for people with mental health challenges who need assistance to obtain Supplemental Security Income (SSI) through legal advocacy. BACS is auctioning suite tickets for three Golden State Warriors games, generously donated by Oakland Mayor Libby Schaaf! Suite tickets are available for the following games: Warriors vs. Chicago Bulls on 11/24/2017, Warriors vs. LA Lakers on 12/22/17, and Warriors vs. NY Knicks on 1/23/18. All proceeds from this auction will help to end homelessness in our Oakland community. Winning bids are tax deductible above the fair market rate for tickets. Visit our auction site to bid on your suite and help your community! BACS is expanding our partnership with the City of Oakland! Mayor Libby Schaaf stopped by to tour our Housing Fast Support Network (HFSN), the largest program to end homelessness in Oakland. 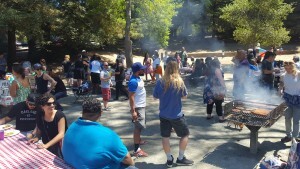 She also announced, during a KTVU panel, our newest program, the Housing Resource Center program. Over the next few months, BACS is opening more housing programs with the City, which will target developing new housing to impact the housing crisis immediately. You can learn more here, or if you have a room to rent in Oakland and want to make a difference, click here. BACS is seeking an experienced, qualified construction manager for our Amber House facility in Oakland, California. We are currently partnering with Alameda County to remodel this facility, which has been and will continue to be a residential treatment facility. To find out more, read our full posting here. 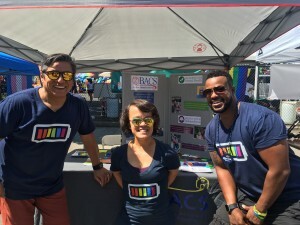 BACS had a great time at Oakland Pride this year, representing our community! We were out and proud, and got to get our information to people in need. We also got to connect with some new volunteers, and were visited by a participant’s family member who shared her story about BACS’ impact on her mother. BACS is doing whatever it takes to make a difference, and everyone is welcome at BACS. In August, UPS hosted a job fair at BACS! 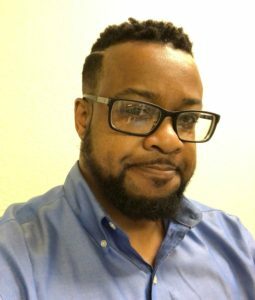 The idea started when Antonio Montesinos, BACS Employment Coordinator in Downtown Oakland, helped a participant get a job at UPS. That participant, through his hard work, got promoted to Supervisor. He decided to give back by helping BACS and UPS organize this job fair, giving opportunities to people who need work. 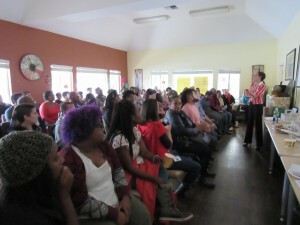 The job fair was a huge success – 15 people were hired, in one day! Thank you to UPS, to Antonio, and to the hard-working participant who keeps his community in mind, and congratulations to all those who have new jobs. BACS’ IPS Supported Employment Program provides job placement services to help individuals with complex needs find competitive, satisfying, and sustainable employment to uplift them from poverty. 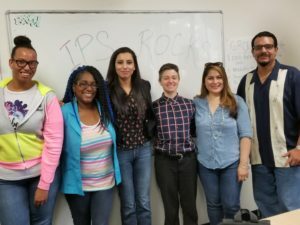 BACS recently received our IPS Fidelity Report, and BACS received 113 out of 125 possible points, which the report notes is “the highest fidelity IPS program in Alameda County.” According to the report, “BACS staff, participants, and family members spoke highly of the IPS services,” saying things like “It’s an awesome program.” Furthermore, CARF visited recently, and had zero recommendations for the IPS program. Our team is proud of the work they are doing! You can read our full announcement here. BACS is delighted to honor Kara Tow, with BACS’ Intensive Case Management program, as our Employee of the Month for August! 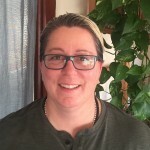 Kara says “The work that we do at BACS is so important because we provide direct assistance, advocate for people’s voices to be heard, and model treatment with the dignity that all deserve to break down stigmas and barriers so that people can remain connected to the larger whole. Connection heals trauma, not isolation.” Congratulations, Kara! 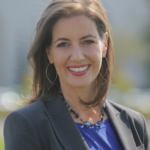 Oakland Mayor Libby Schaaf was recently featured in a four-person panel on KTVU, including the Mayors of San Jose and Berkeley, and the San Francisco Director of Supportive Housing. She shared outcomes from the Housing Fast Support Network (HFSN), like that historically 80% of participants go on to permanent housing. And that this year, 87% of HFSN participants have found permanent housing with our dedicated staff.